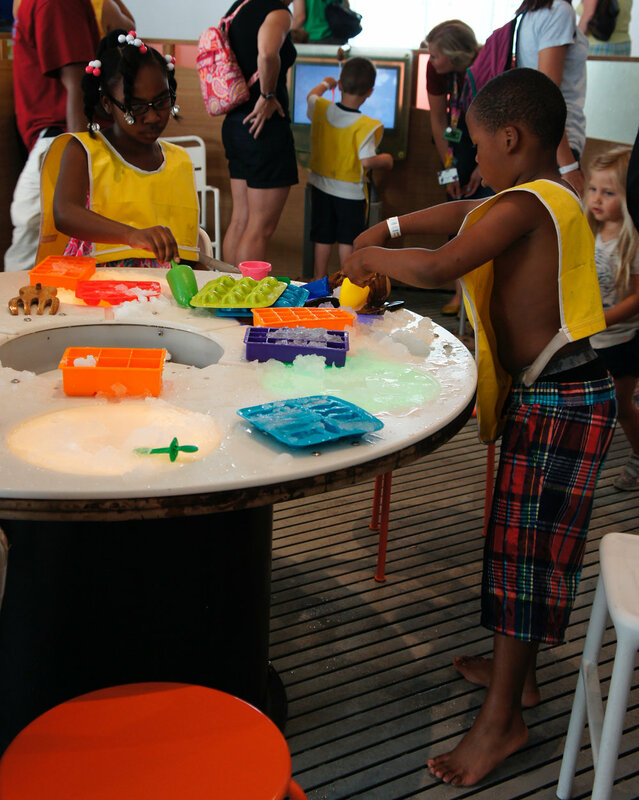 Play and sculpt with shaved ice using tools at this custom built Slushy Table. The round top is segmented so you can make your own individual sculpture while still sharing the experience with others. 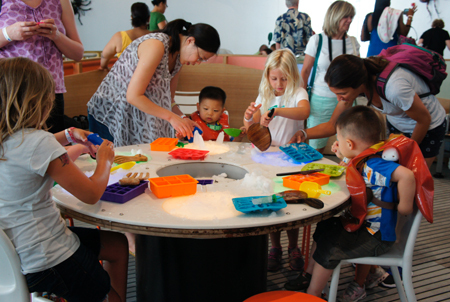 Colorful LED lights under shine through the white acrylic tops, adding to the playful exploration opportunities. 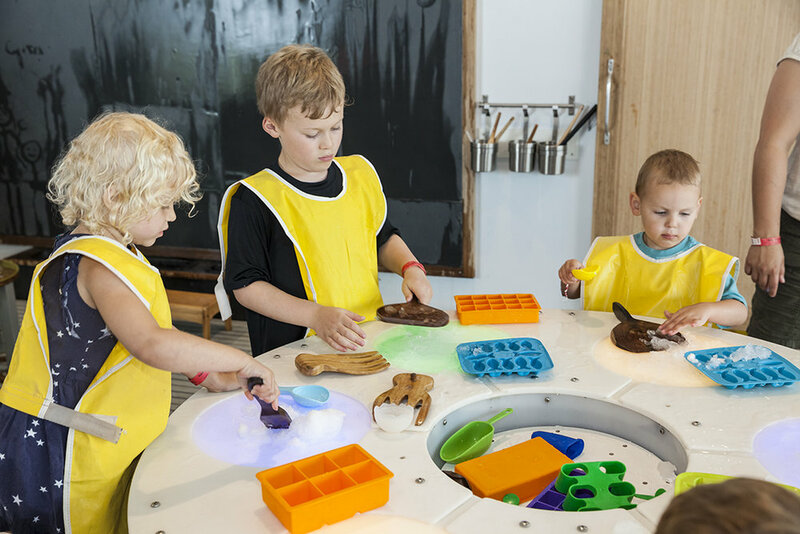 This activity is an innovative approach to STEAM learning and can be scaled for children of various ages and interests. The table is made of acrylics, metal and wood, and is approximately 60” diameter and 28” H. There is a chiller in the base to keep the work stations cool. Each work station has a channel that lets the melting ice drain back into the center bin. This unit requires 110V AC power and must be in a wet-tolerant space. The shaved ice is made by a commercially available show cone machine.